A 30-year-old holder of a Russian passport and an Uzbek driver’s license, a certain Sobir Shukurov, and a 27-year-old Ukrainian citizen, ethnic Chechen Zelimkhan Makhtiyev, and Turkish citizen Eldor Aslan are suspected of being involved in the assassination of Abdullah Bukhari, an ethnic Uzbek Islamic preacher, in Istanbul on December 10, the RFE/RL’s Uzbek language service reports. According to a spokesman of the Istanbul Anti-Terrorism Directorate, a group of 20 persons have arrived presumably from Uzbekistan and Russia to organize the assassination of the late preacher (born Mirzagolib Latifovich Khamidov in Andijan Region, Uzbekistan) and several other Turkey-based Uzbek oppositionists. Mr. Shukurov has allegedly ordered the assassination of the imam. “Sobir Shukurov contacted Turkish citizen Eldor Aslan to organize the assassination of three individuals in the Turkish territory—Mirzagolib Khamidov, Muhammad Salih and his son Timur Salih. In turn, Eldor Aslan contacted ethnic Chechen Zelimkhan Makhtiyev, who holds a Ukrainian passport. Zelimkhan Makhtiyev, the assassin [in this case], shot the Uzbek imam Mirzagolib Khamidov on December 10. Mr. Khamidov died in a hospital in the evening of the same day,” Ozodlik’s interlocutor says. According to the radio station, Mr. Khamidov was aware of the planned attempt on his life as early as three months before it occurred. “A month ago [on 17 Aug 2014], unknown people came to me carrying documents and said an attempt on my life was being planned. The documents they had warranted attention. However, I, placing my trust in God, did not inform the Turkish security agencies,” the late Mr. Khamidov is reported to have told Muhammadsalih Abutov, a political émigré, during a conversation late September. The list the group of alleged hit men arriving in Istanbul includes the name of Rashid Kamolov, a well-known imam in Kyrgyzstan, Muhammad Salih, the leader of the oppositionist Erk Party, and his son. They say they paid no attention to the warnings. “Three months ago, Istanbul police officers warned me about a planned attempt on my life. But I ascribed no significance to [the warning] at the time. However, given the latest events, security measures have been stepped up around my house,” Mr. Salih said. 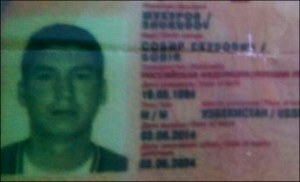 The Uzbek secret services staged an attempt on the oppositionist’s life in 1999.